I can't believe I bought this. I really can't. The more unbelievable thing is that I totally got it for the packaging more than the nail polish in the bottle. Lol. Now onto the polish. 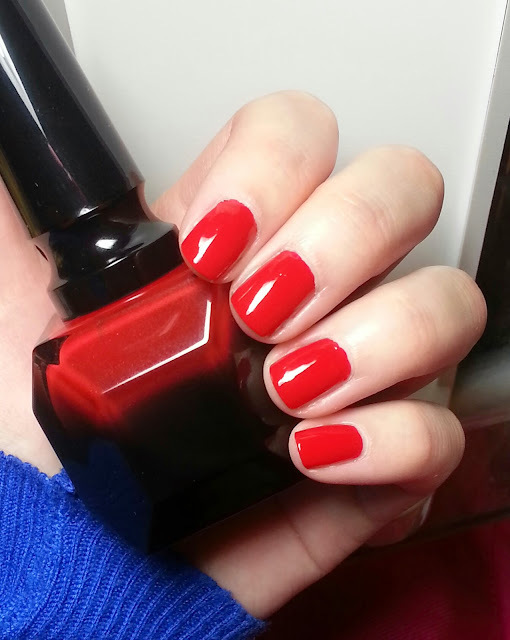 Rouge Louboutin is a true red creme. Absolutely nothing special about it except for the packaging and formula itself. But oh the formula. Super pigmented and smooth. 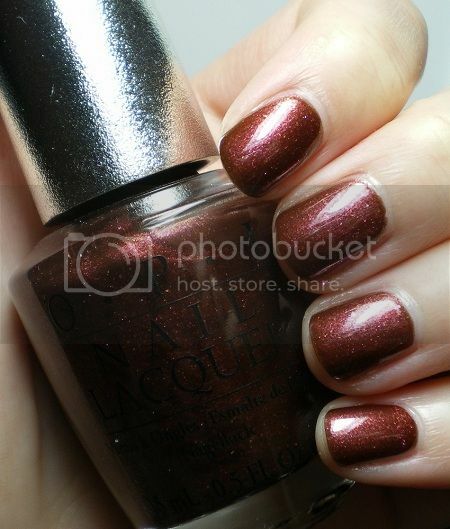 This is 2 coats with topcoat. It was completely perfect at 1 coat but I was wondering if 2 coats would make a difference. It's one of those things where I'm glad the price tag is equivalent to the product. Lovely purple with blue and silver micro flakies. Two coats with top coat. Great application. No issues. Love this color so much. It's so... Normal and office acceptable, but look closer and you get green shimmer with gold flakies. 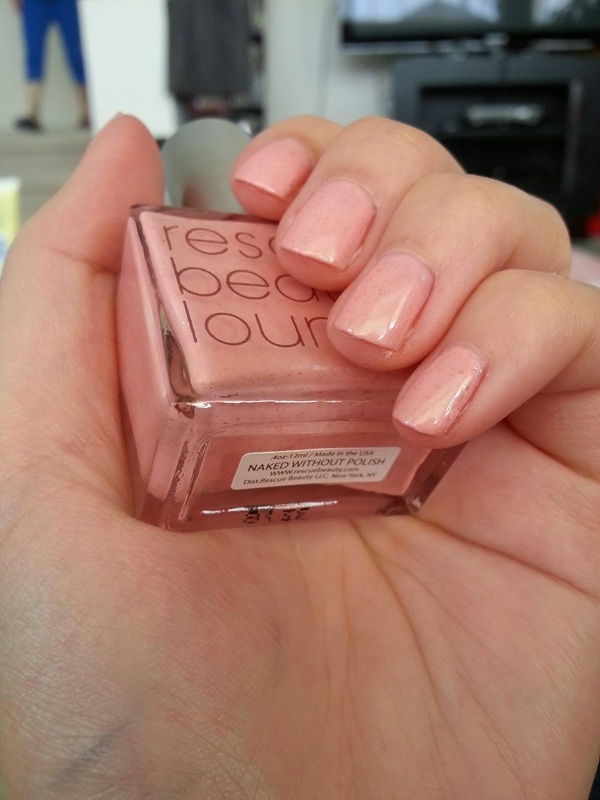 I was wearing this when I did my friend's nails for her wedding and all of the bridesmaids loved it so much they asked for their nails to be this color. Two coats with topcoat. Great application, no issues. Long time no see! Not sure if anyone is even still out there. Lol, but if you still are, thank you. I just have a very short cell phone post. But just figured I would share. Two coats of both with top coat. Fusion Neon is your standard matte chalky neon before topcoat. Slightly streaky so make sure you wait for each coat to dry before the next. 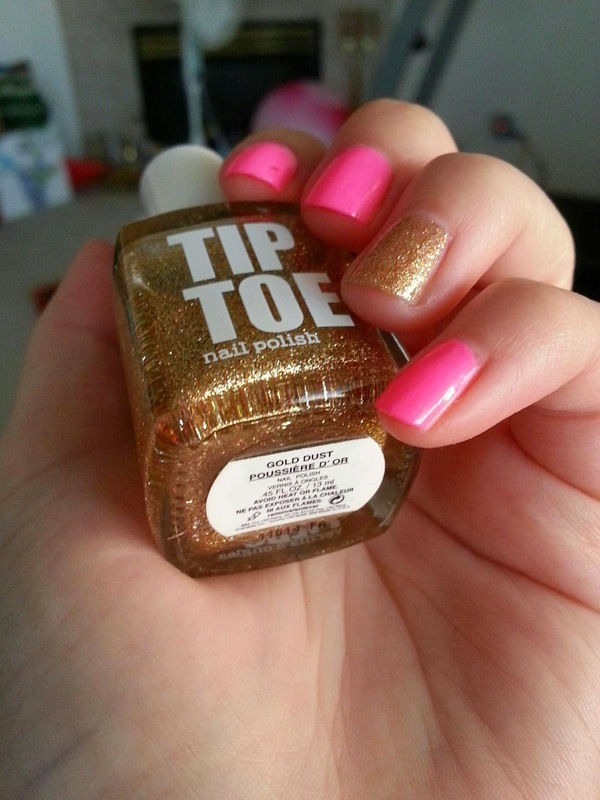 Gold Dust is a lovely gold glitter with a little bit of red mixed in. Covers very well. The first photo is the more accurate photo. The second is all washed out. 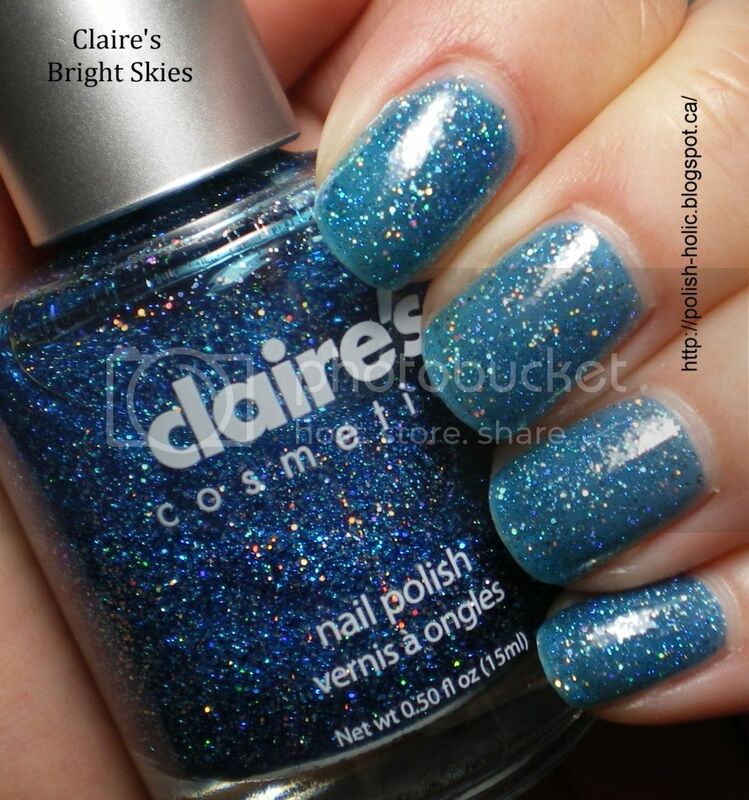 Pretty, blue, jelly, holo, cheap. What more could you ask for? Whim of the Moment: On Saturday, StBFF and I had two hours to kill before dinner. Conversation went like so. Me: What do you wanna do for the next two hours? StBFF: Let's dye your hair! 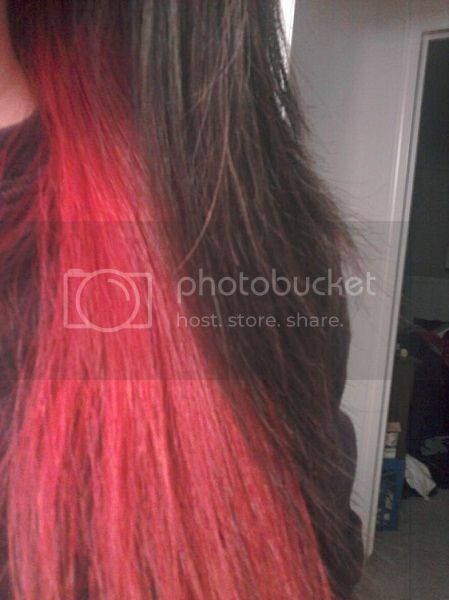 And I bought a bottle of Manic Panic Fuschia Shock and a box of bleach. Done deal. I was actually going for purple, but fuschia is good too. The container doesn't look like how it actually turned out. I should have known better, but oh well. It's only semi-perm. I'll go purple after it fades. What y'alls think? I just want to add to the end of this, I turned my bathtub bright fuschia pink. I kid you not, it looked like I had murdered and dismantled a pink My Little Pony in my shower. So warning for anyone who wants to do this, get a spray bottle, fill it with 3/4 water, pour in some dawn dish soap, and fill the rest with bleach. When you're finished in the shower, I suggest you spray down your shower and let it soak for 15-30 minutes, then rinse. Jewel is a really interesting colour. You're never really sure what colour it actually is. 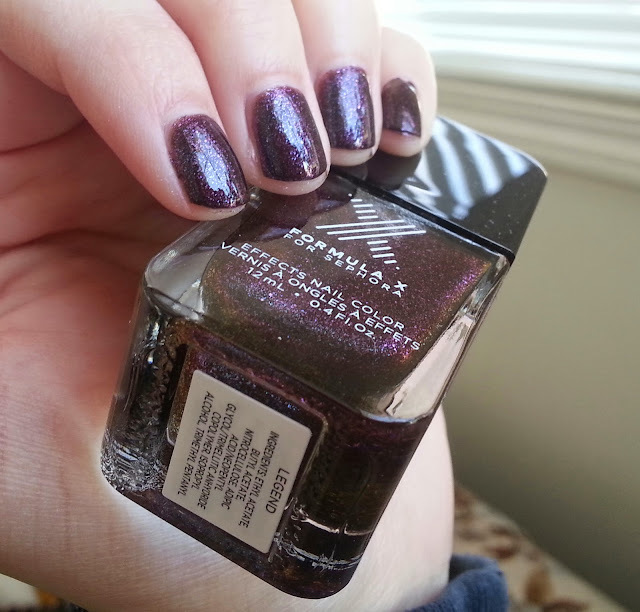 But as far as I can tell, it's a reddish brown based purple with shimmer. And it shifts back and forth between the purple and brown. I didn't really like it on me. But I think it's because it doesn't really work with the yellow in my skin. I wore this back in May of 2011. It's been so long that I don't even know how many coats I used. Sorry about that. I love you Quatchi! 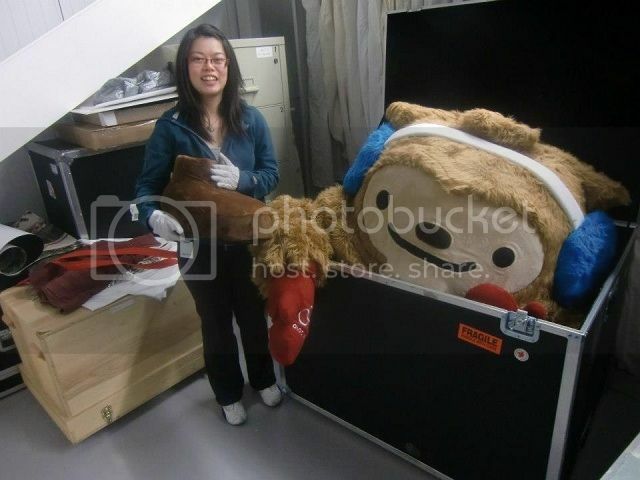 For those who do not know, that's Quatchi, one of the Vancouver 2010 Olympic mascots. Of all the mascots, he was the most work to get out, but in my opinion, probably the most worth it. He was awesome!